Sanding and refinishing hardwood allows you to change the stain color. Make Those Old Floors Look Brand New. 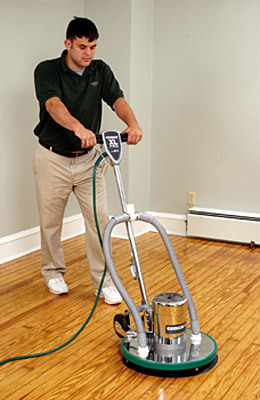 Classic Carpet & Flooring offers high-quality sand & finish service for existing hardwood floors. For a fraction of the cost of new hardwood flooring, Classic Carpet & Flooring can revitalize old hardwood, eliminating bad boards and scratches, making your floor look and feel new again. In addition to sanding floors, we also offer job finished installation. We can install new unfinished wood (of any species) sand it completely smooth, and stain it to your specifications. This will allow you to match, or seamlessly tie into, your preexisting hardwood floors. The most exciting aspect of sanding and finishing hardwood floors is the level of customization allowed. With sand and finish work, you can pick any color on the stain wheel, or combine two or more colors to create a truly unique floor. Additionally, our installation crews will do a test stain of one or more colors so you can see exactly how the new color will look. Plus, you can control the gloss level of the floor, you can choose from: a natural low gloss look, an elegant semi-gloss finish, or a shiny furniture quality high gloss coating. Besides looking beautiful, your newly redone hardwood floors have other advantages: Fresh hardwood floors add value to your home. The new finish will seal your floor giving you added protection from spills and other tracked in liquids. The polyurethane finish is easy to clean, so you’ll never need to wax. Call or click to set up a free no obligation shop-at-home appointment with one of our design consultants.